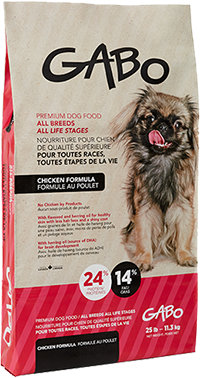 Gabo dog and cat food is specially designed to provide pets with complete, balanced nutrition. 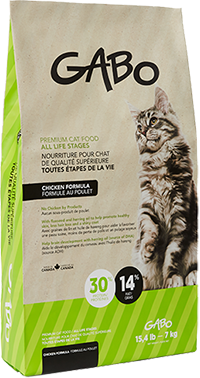 The formulas include healthy ingredients with high-quality protein, essential fats, vitamins and nutrients for optimal animal health. 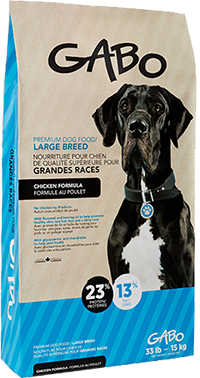 Available exclusively in specialty pet stores.